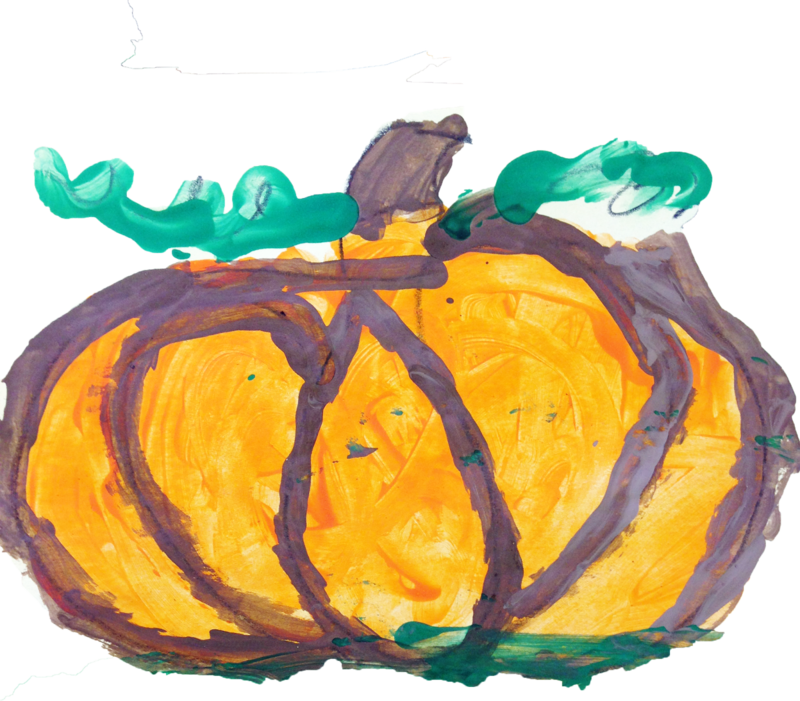 Even though Halloween is over, doesn't mean that you can't continue to celebrate fall in your art classes! 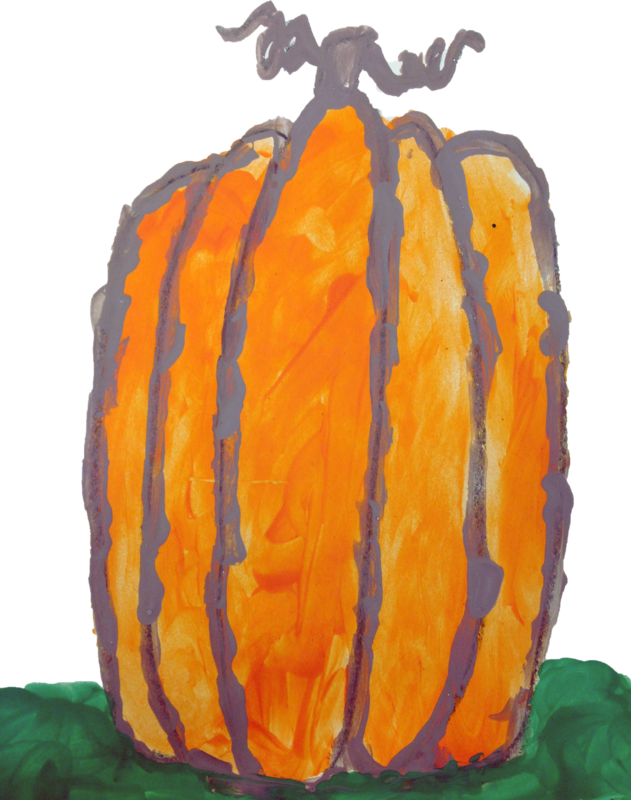 This week my kinder and first grade groups created the cutest little pumpkins ya'll! If you're looking for a quick, fun and easy science integration activity- then you may want to consider adding this one to your list of fall projects. 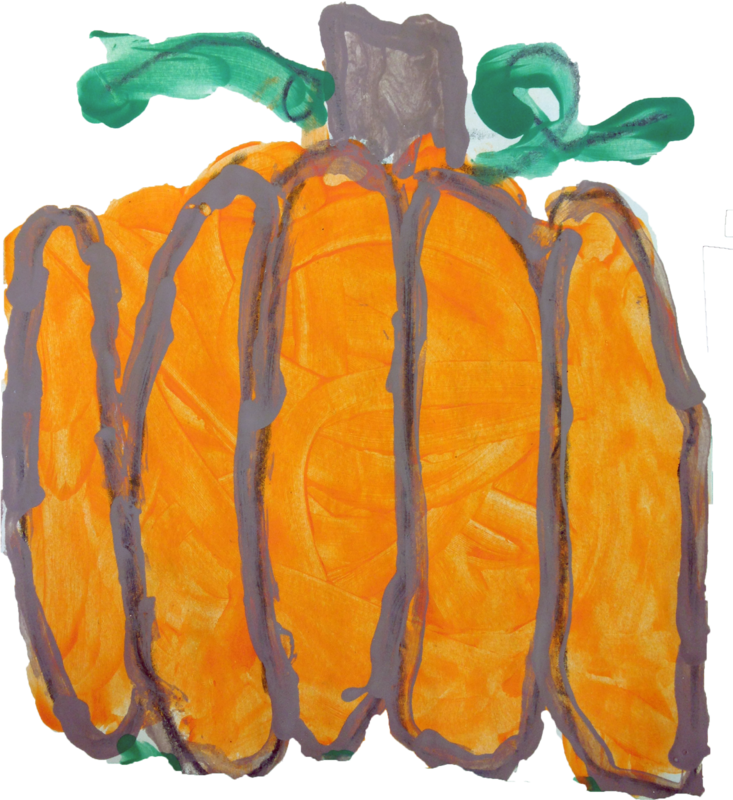 We watched a quick Youtube video about the life cycle of a pumpkin and then I read them this Common Core text exemplar to get their minds packed full of non-fiction goodness! 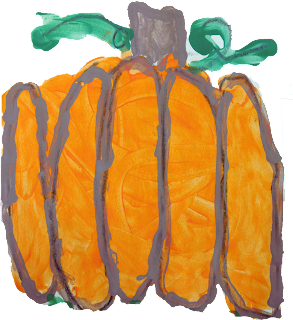 We started our project with a directed drawing of a very basic pumpkin. I don't always recommend directed drawings for your youngest kiddos- but this one was simple enough that I knew it would be achievable for even the littlest of hands. We used 9x12 manila construction paper. I don't usually use this type of paper for paintings because it's so thin- but because I have a TON of it stock piled and the paper color matched the seasonal theme, I decided to roll with it. They drew out their pumpkin with crayon. Crayon seems to force children to draw large and I wanted them to fill their whole paper. Big is beautiful- that's my motto. I put only orange paint out first- little people need one step at a time. Call me crazy but I let them finger paint their pumpkins. You could use a paintbrush as well- but I find that little hands move slower with a paintbrush so we opted for gooey fingers. When the kids came back for their next class, we used small paint brushes to trace their crayon lines with brown tempura paint. We used green finger paint for the grass. After lots of discussion about ordinal words and where grass grows, I still ended up with a few kinder babies painting grass above the pumpkin...I'm still learning to let go and let art be art. I think they turned out absolutely precious!